1. 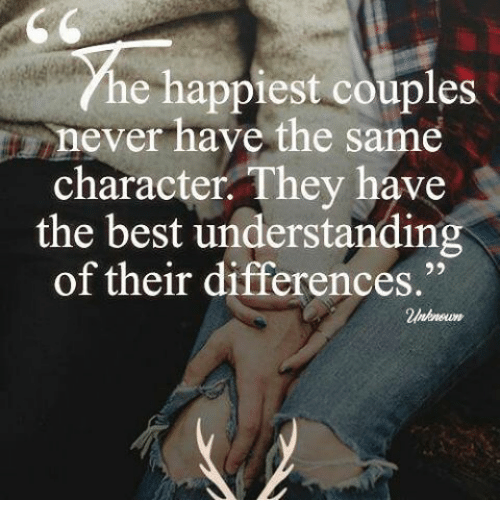 Your partner fits your "type"
To see the rest of the list and find out why these things are less important to our relationships than we think, click here. No one will deny that parenting is a tough job, but many parents make it a tougher job by criticizing their own parenting. One way that parents criticize their parenting is by thinking in absolutes. Some examples of thinking in absolutes are: "I have to attend ALL of my child's school events" and "I must NEVER lose patience with my child." Thinking in absolutes is just one example of how we use our thoughts to criticize ourselves. 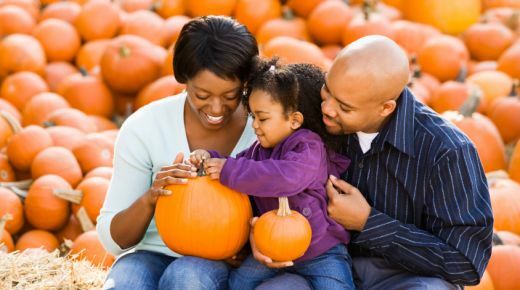 There are many other thoughts that lead individuals to question their abilities when it comes to parenting. The good news about these self-critical thoughts is that you can change them! The first step in changing your thoughts is to identify the thoughts that are problematic. The next time you find yourself being critical of your parenting, stop and think about what it is that you feel bad about. For example, maybe you feel bad that you missed your child's baseball game. Next, identify what you think your behavior means. In the case of missing the baseball game you might conclude that your behavior means you are an awful parent or that you are not dependable. Finally, ask yourself how you feel about what has happened. Some examples of how you might feel after missing the baseball game: angry, sad, and guilty. The article, "Think You're a Bad Parent? Follow these steps to challenge overly self-critical thoughts" discusses some of the types of self-critical thoughts that parents have, reviews how to identify problematic thoughts, and also tells how to challenge and change your thoughts. Now that you already know how to identify your problematic thoughts, click here to read the article and learn how to challenge them. Author Gretchen Rubin is known for her articles and books about happiness and habits. As she researched and wrote, she came up with the ideas of the Four Tendencies. These tendencies shape our behaviors and each of us primarily falls into one of the Four Tendencies. 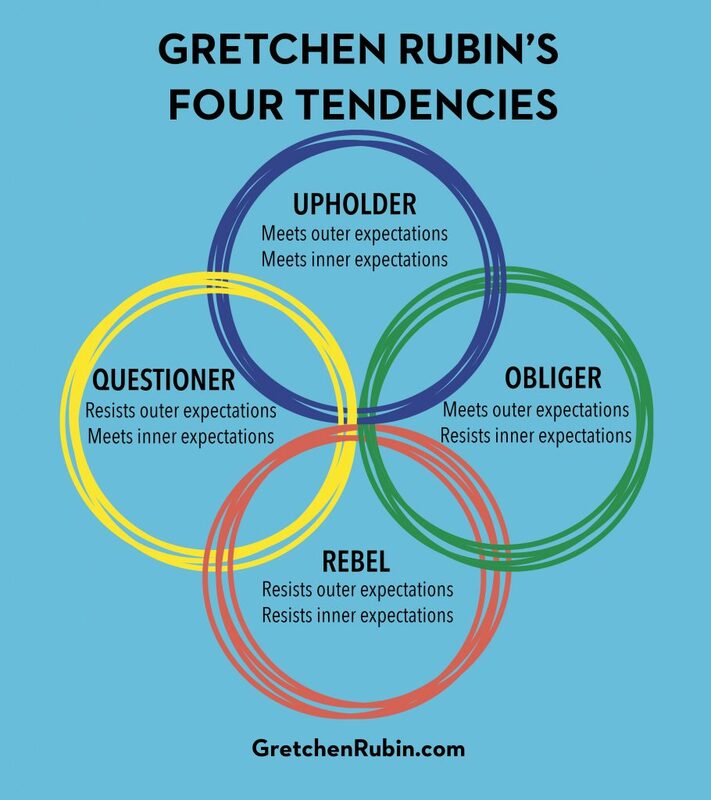 The Four Tendencies are: Upholder, Questioner, Rebel, and Obliger. In the graphic above, you can see how each tendency reacts with regard to meeting inner and outer expectations. You may already have an idea of which tendency you fall into, but if you want to find out for sure you can click here to take the Four Tendencies quiz. After you find out if you're an Upholder, Questioner, Rebel, or Obliger, take a look at the article "Want to Change an Important Habit? Tips for Upholders, Questioners, Obligers and Rebels" to learn the best strategies to use for your tendency when trying to change your habits. In this month's Family Corner Article link, the author shares a link to a Cognitive Behavior Therapy (CBT) form to help you examine and challenge your thoughts. That link also includes other helpful CBT forms. 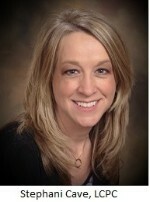 Feel free to make an appointment for assistance in applying CBT concepts to your life.